Tax forms have arrived! We have received the Federal 1040 and instructions, Ohio 1040 and instructions, and City of Massillon forms. Any forms that we did not receive can be printed for you by Reference Staff. 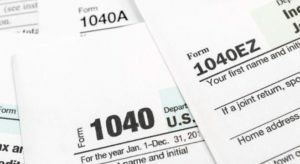 This page collects some Internet sites that can help you with your taxes. The library offers these links as a service to you, but it cannot guarantee the accuracy of information you may find by visiting these sites. The United Way’s Volunteer Income Tax Assistance (VITA) program did not select the Massillon Public Library as a tax preparation site for 2019. For information about scheduling an appointment for this service, visit the Volunteer Income Tax Assistance page of United Way’s website.